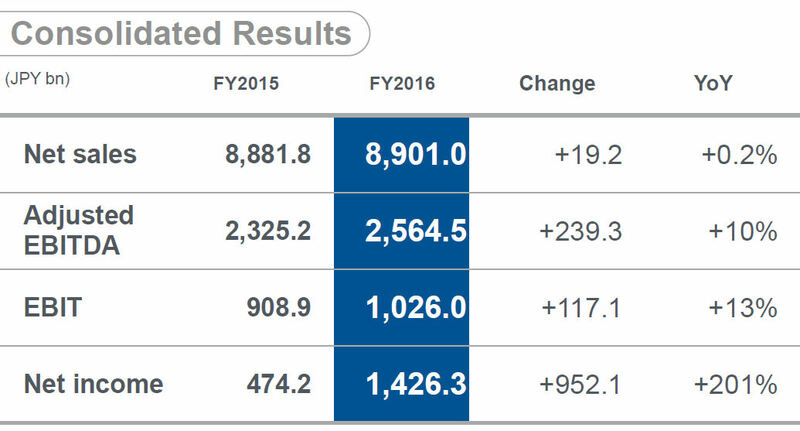 Japanese tech conglomerate Softbank has announced strong full year numbers including a record 1.43 trillion yen (~$12.5 billion) profit. 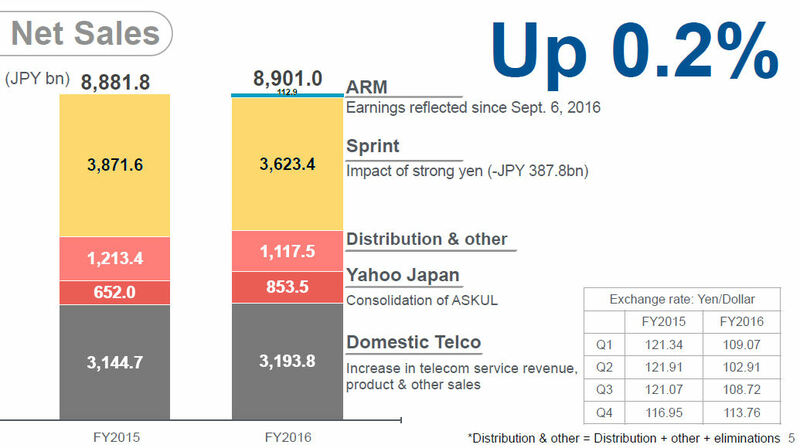 The results reflect decent performances across all of Softbank’s major operations: Softbank Japan, Yahoo Japan, Sprint and ARM and come in spite of flat revenue growth. While the numbers at struggling Sprint seem to be headed in the right direction, a big reason for the exceptional profits was the sale of around $9 billion of shares in Alibaba. One of the main reasons for freeing up all that nice liquidity is Softbank’s aspiration to act as much as a tech industry facilitator and incubator as a regular company. This means it operates on an almost uniquely long-term basis, but it never does any harm to keep shareholders happy in the short term too, which these numbers will have done. During the earnings call it was made clear that merging Softbank with T-Mobile US remains an aim. A major manifestation of this strategy is the creation of a technology investment fund, which is reportedly near to reaching its $100 billion investment target. Softbank also confirmed its previously rumoured investment in the Chinese equivalent of Uber – Didi Chuxing – in the earnings announcement, saying it will invest around $5 billion in the company that is dominant in its domestic market. One more piece of tech entrepreneurialism announced was that Softbank and its US operator Sprint plan to collaborate with mobile chip giant Qualcomm on the development of 5G technologies, ‘including the 3GPP New Radio (NR) standard in Band 41 (2.5GHz) for accelerated wide-scale 5G deployments.’ The short announcement added that commercial services resulting from this collaboration are expected in late 2019.